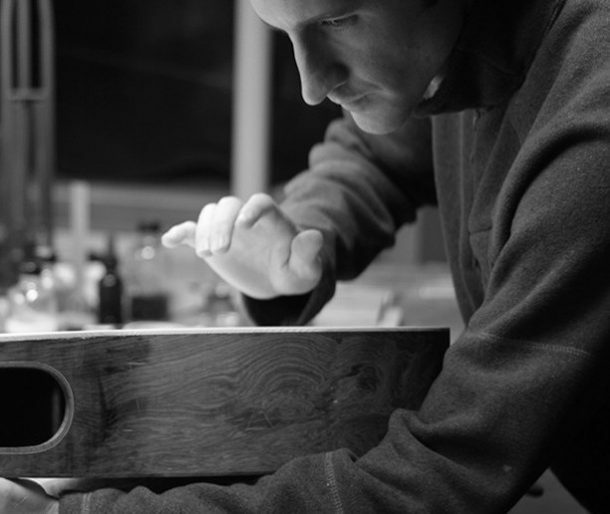 If you build or repair guitars then you’ve most likely heard of Stewart-MacDonald, I know I rely heavily on many of their specialized tools for luthiers to build my guitars. 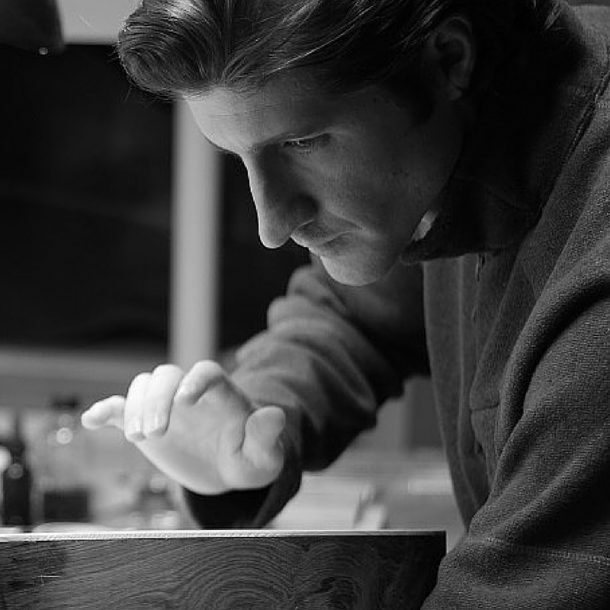 Stewart-MacDonald (Stew-Mac) is one of the leading resources for guitar making tools, parts, and supplies in the world. 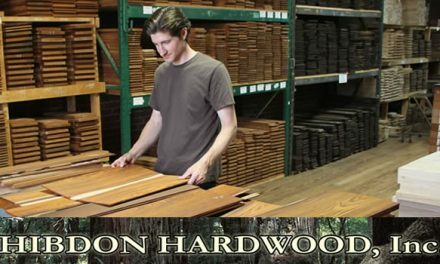 Recently I got a chance to check out the new Laser-Cut Wood Guitar Binding sets from Stew-Mac which I will be talking about in article below. 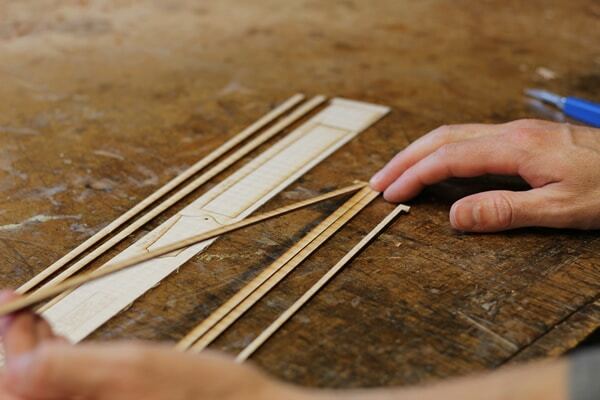 The Laser-Cut Binding Sets from Stew-Mac come in three different woods: Flamed Maple, Plain Maple, and Rosewood. 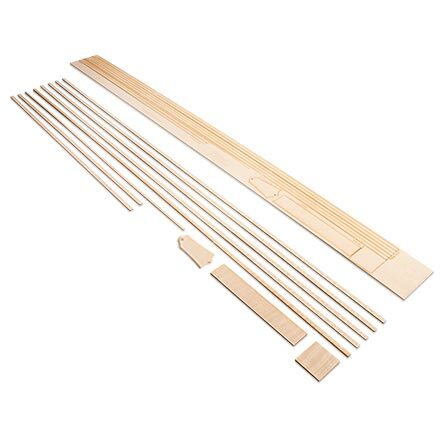 Each set includes; body binding, fingerboard binding, back strip, end trim, heel cap, and truss rod cover all cut from the same piece of wood. I tried the flamed maple version which I’ll be talking about here in this article. 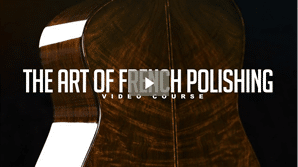 As soon as I saw them I knew I would like them because I still remember clearly some of the struggles I had when I was first starting to build guitars. 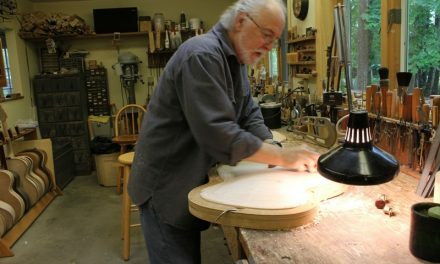 I really didn’t have much at all in the way of tools or equipment back then, and had a very hard time thicknessing the flamed maple for sides or binding and did a lot of crazy things to get the job done, all of which were either dangerous or just simply wasted huge amounts of time. 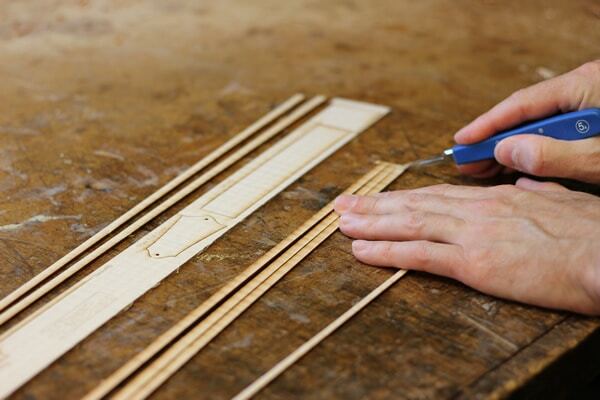 I think these new binding sets can be a real time saver and even a money saver for builders who don’t have the time or tooling to make their own bindings from scratch and there are a few other nice benefits as well. Read on to learn more about my experience and thoughts about this new product. One really important thing to me is to make sure that my bindings are all a good color and figure match. For my archtops I’ll usually save the scraps or off-falls from my guitar sides to use as binding when I can. This makes a great color match since the all body bindings come from the same material, but it can be tricky sometimes if there isn’t much material there to work with after I remove the actual guitar sides from the rough side set. I can usually get the body bindings from the sides, but not much else. 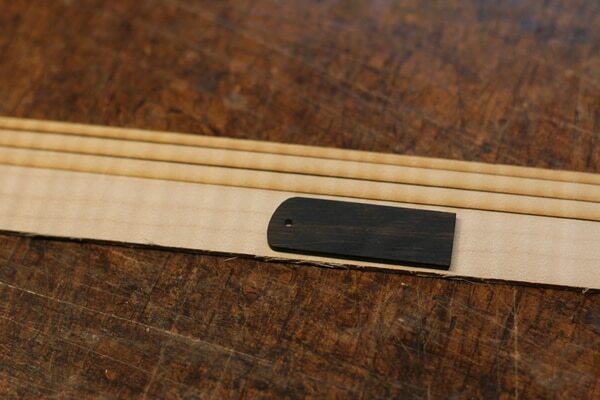 So the laser-cut binding set solves this problem and not only that, but goes one step beyond providing a perfect match to the fingerboard binding, truss rod cover, backstrip, and endgraft. I like to make sure my binding material is properly sanded before bending so I checked the surface preparation of the laser-cut binding sheet and it’s really sanded very well and looks great, no problem there. It’s just right to go into the side bender or onto the hot bending iron, whichever method you may use. 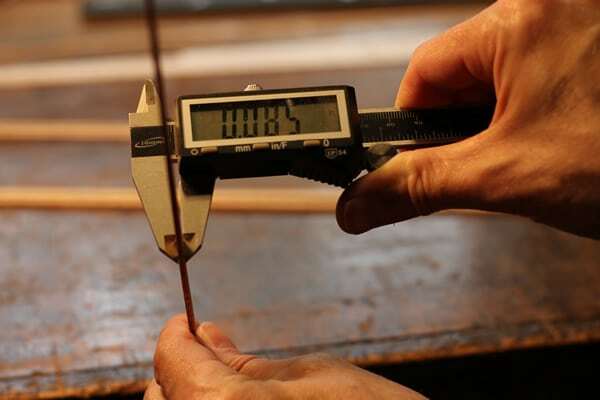 They measure .085” thick which is exactly what I thickness mine to before I bend them, so that one thing by itself is a huge time saver. I found the parts very easy to remove safely from the sheet. I started using my scalpel to score the tabs and then gently rotating the part upward to break it free. 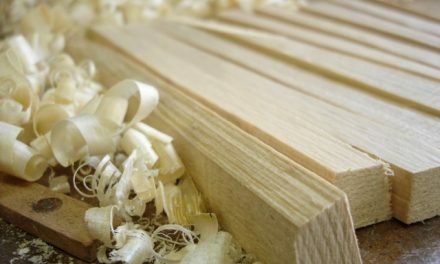 Before I was done though I switched to using my chisel to just cut the tabs a little from each side of the piece and it worked a lot better and made it easier still. Once I had the binding pieces out and separated, I did just a little prep work to the lasered edges. After they come out they do have a few little bumps that need to be removed where the tabs held them in place. I also felt the lasered surface was a just a bit rough, so I grabbed my little sanding block and some 150 grit paper and just kind of touched them up a bit to smooth things out. After just a couple of minutes they were nice and smooth and ready to use. Will They Work For Non-Traditional Designs? The laser-cut binding sets are made for traditional guitar designs for which they seem to work very well, but since my guitars are so non-traditional I had to wonder if I could get all the parts for my guitar from it still, even though it’s original intention is for the standard style design. Really the only issue for me was the truss rod cover. My design has more material above the screw hole which as you can see in the photo won’t work with the pre-cut part. 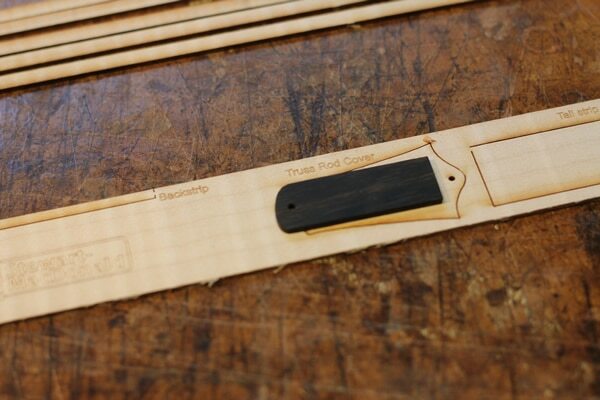 However, there is plenty of other wood here that I can use to get my truss rod cover from. Even if I cut my truss rod cover out of this extra material there is still more wood left in case I need it or mess something up. Always good to have a plan B. Speaking of having a plan B, I always make 5 pieces of body binding and I even bend the 5th piece with the rest. I do it because my guitars are all so different from one another that if I broke a piece of binding I would have to start the whole process over of making new bindings from scratch which takes days for the glue to dry and the various steps of band-sawing and thicknessing, etc. By having a 5th piece I can grab it and keep on flowing in case I snap a piece of highly figured binding in a cutaway or something. 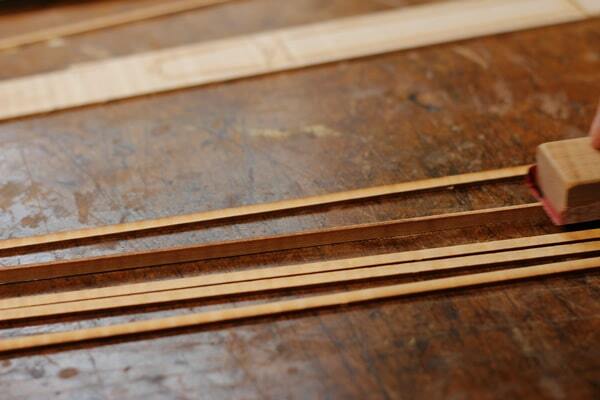 I was delighted to see that there were 5 strips of binding here in the laser-cut set so that works great for me. 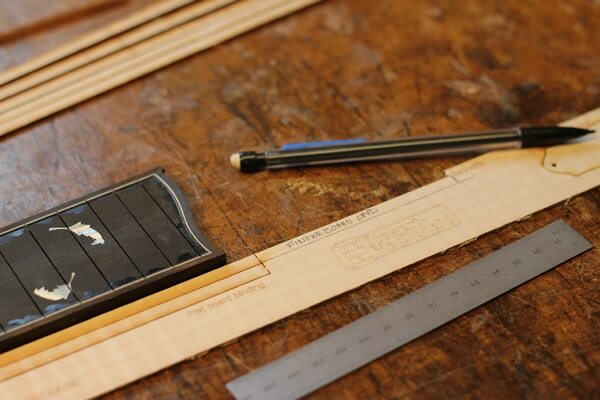 What About The Fingerboard Binding? 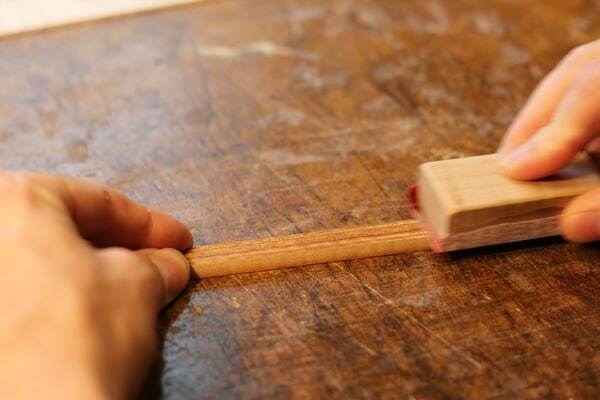 So if I steal that 5th piece of binding as a backup (plan B) for the body binding, the result was to leave me with only the material for the sides of the fingerboard and not the part that wraps around the fingerboard end. 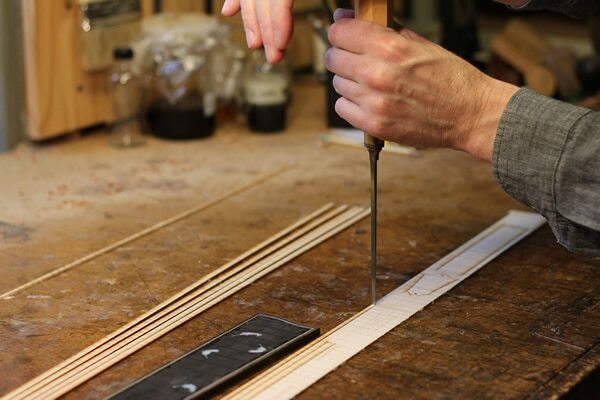 Thankfully once again there was enough material there to get that last little bit of binding to go around the end of the fingerboard as well. 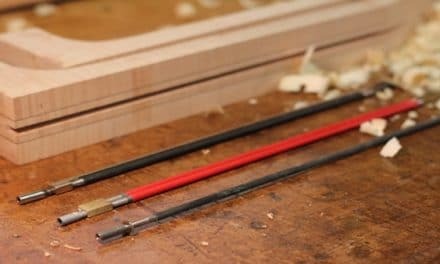 If you are just starting as a guitar builder or maybe you have been building for a while but you’re just looking for a few things to help increase your efficiency without sacrificing quality then the new laser-cut guitar bindings might be a great asset to your guitar building process. I know they would have been a huge help to me when I was starting out and didn’t have the right machines and tools to make all these things myself easily. You can jump over to Stew-Mac and buy a set of the Laser-Cut Wood Bindings to give them a try or enter the giveaway below to see if you will be one of the 6 lucky winners. The Laser-Cut Wood Binding Giveaway Has Ended, be sure to sign up for our mailing list below to be notified of the next giveaway coming soon! 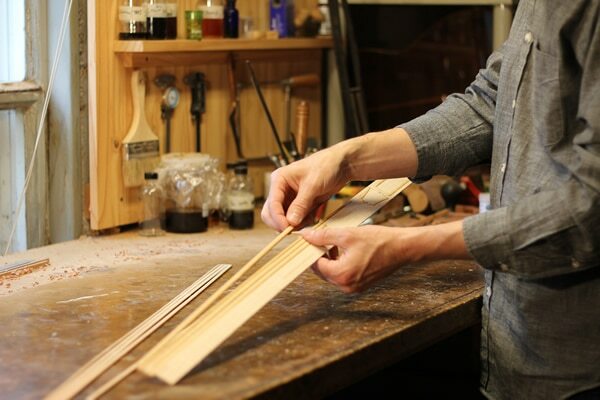 Guitar Truss Rods: Which One Is Best For Your Next Guitar?